Here in Florence it's still raining so I'm not in the mood to go out shopping and I comfort myself browsing my fav online shops. Today I want to share with you some cool items I found on Choies.... hoping to inspire you a little bit! First of all, three gorgeous dresses in three different styles... are you simple, bold or...the secret sister of Anna Dello Russo? Qui a Firenze sta ancora piovendo e non sono dell'umore per uscire a fare shopping, così mi consolo navigando un pò nei miei shop online preferiti. Oggi voglio mostarvi alcuni capi fantastichi che ho trovato su Choies...sperando di ispirarvi un pò! Innanzitutto, tre abiti in tre stili completamente diversi... voi come vi sentite, semplice, azzardata o....la sorella segreta di Anna Dello Russo? And what about some 80's style? I fell in love with this nautical maxi tee, which is perfect to be worn with high waisted shorts and an oversized denim jacket. E che ne pensate di un pò di stile anni '80? Io mi sono innamorata di questa maxi t-shirt marinara, perfetta da indossare con pantaloncini a vita alta ed un giacchetto di jeans oversized. And how to forget the accessories? Just one rule: go bold! E come dimenticare gli accessori? Una sola regola: esagerare! Adoro i pantaloncini a vita alta e gli accessori dell'ultimo set! el boslo transparente me encanta!! A me piace il primo vestito. Le borse sono molto carine. Scelte bellissimi!! Amo anch'io quei sandali! wow really cool picks! inspiring! Really love your picks from the store! Love the shoes!! my favorite is the bold model! I love that Anna Dello Russo dress! and that Balenciaga boots was epic! I super want! I like the simple style of dress because you can accessories that will dress it up or down. Quì finalmente non piove più.... speriamo bene x il weekend!!!! Direi azzardata "bold": molto particolare! L'ultimo set è molto bello! Mi sono innamorata della tee marinara! Oh those accessories....I want them all!! love the Anna Dello Russo suit!! Bello quello di mezzo, anzi ora me lo prendo! and the blue transparent clutch! beautiful post. I love the shirt most! Che bella selezione :) Mi ritrovo tantissimo con gli accessori che hai scelto! amazing items, i love choies!! non sono tanto tipa da anni '80 m lo stile marinaro mi piace molto!! These are such awesome choices, the dresses are amazing and so are all the trendy accessories! Every item I would love to havr especially those shoes. Love the items you picked up!! che belli i sandali!! speriamo che arrivi presto il momento di metterli! Thanks for stopping by my blog and for your comment!! follow us? beautiful pieces, nice choice! Great pictures as well! Bold dress is my favorite style ! P.S. I just follow You I hope You can follow me too. La maxi t-shirt marinara vince su tutto...come al solito bella selezione!!! Los zapatos de Valentino me encantan!! Le scarpe le prenderei tutte! Bellissimi anche gli accessori! My fave is the first one.. SIMPLE!!! Whoa what an amazing selection! 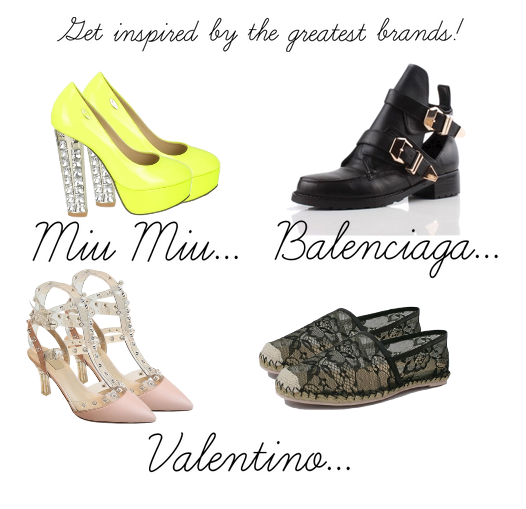 Those Miu Miu heels are so wonderful! Love that light blue bag! i'm following you! i don't know if you are doing the same.... if not follow me please!! :D kisses! I love the pink one! So Sixties!! Quello rosa fa sicuramente molto "Fausto Puglisi" :)bellissimo vestito! Le scarpe gialle sono stratosferiche poi! I love the dupes black lace Valentino!!! hope it gets sunnier over there! Your blog rocks and your pics are great! Id love to follow each other! Following you now on GFC and Bloglovin! Really cute dresses - also waiting for the summer here in Munich. I need the balenciaga boots! Per quanto riguarda i primi 3 abiti, il secondo ed il terzo sono i miei preferiti! Per il resto, tutto meraviglioso!! I love them all, gorgeous collection! prenderei tutto quello che hai selezionato!!! Quante belle cose hai trovato su questo sito...mi sa che ci faccio un giro anche io! Vai col vestitino stile Anna dello Russo!! Le scarpine di Valentino e il vestito Anna dello Russo - adoro. Buona domenica. Xoxo V.V. i really like this post, its so great!! The dresses are wonderful - many thanks for this great inspiration! 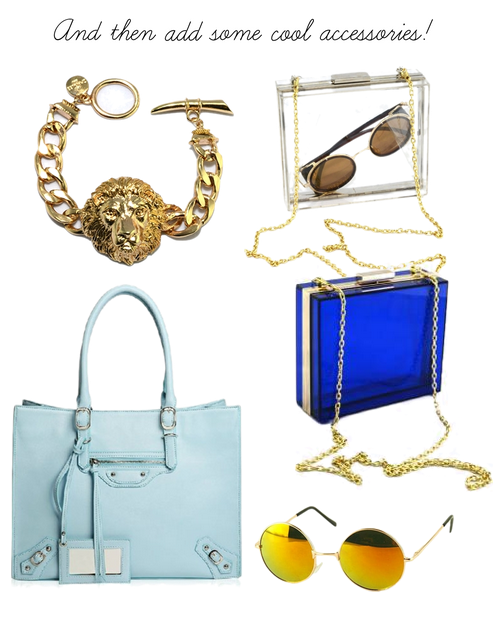 great selection I love the Anna dello russo style and the mirrored sunnies! I love the Anna dello russo style! Thanks for your sharing your style insight with me! May your week get off to a great start. hey~ very nice collection~ do love your blog~ i have a fashion blog~ shall we follow each other? the simple is my favourite. nice inspiration post,thanks for sharing!